A note: I do an art project on all the stealing instead of featuring and it will become big fun for All, visually supported :) :) :) – the funniest part are those who only pretend to feature correctly. 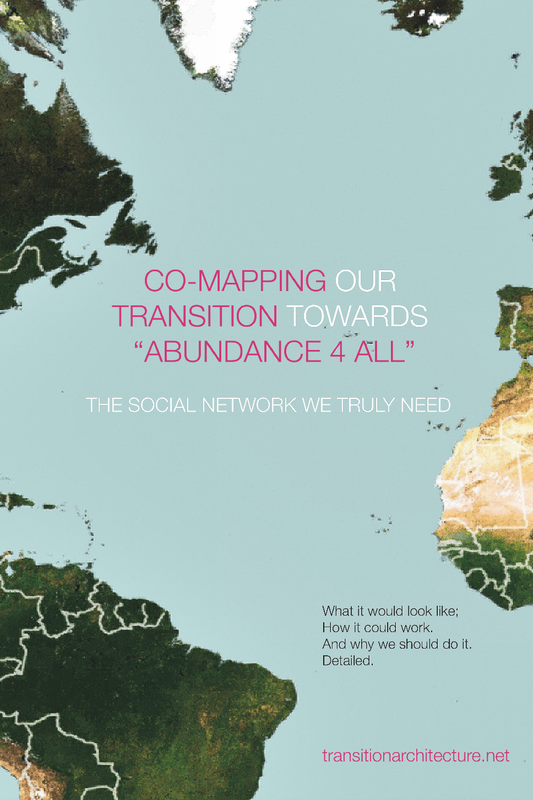 Transitioning: The path of co-creating Abundance For ALL – true fairness and true sustainability, a world where we all can thrive. Transitioning is already happening – though still in its beginnings, most aspects are currently gaining relevance. Here you find a (free) book that is at the same time an Open Design Proposal ( Interface & functions elaborated) : it describes all aspects of transitioning in detail & how we can empower them strategically „by design“ – also urgently needed, to co-correct the pitfalls „within improvements“. 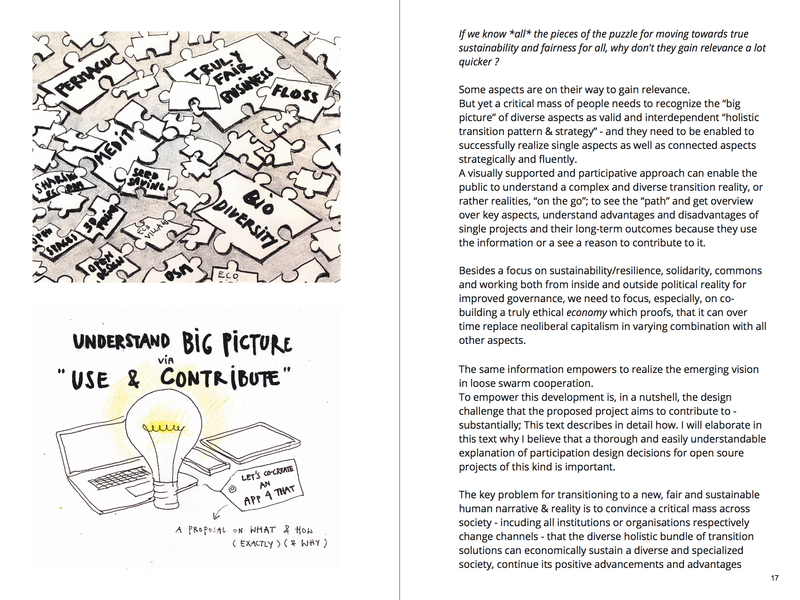 The book you can download gives you a detailed overview of „the hands-on part of TRANSITIONING“, how it can become attractive and best facilitated for All. 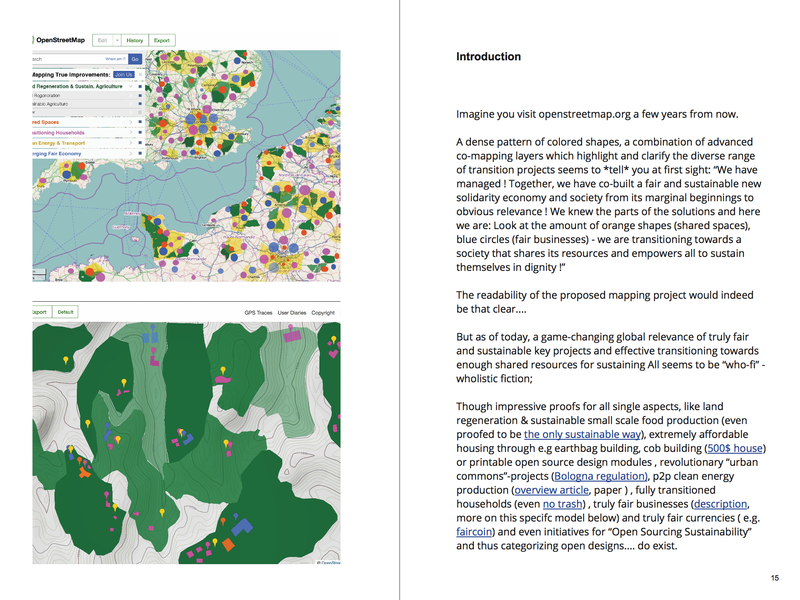 If the proposed design is built, you don’t need to inform yourself about the big picture of transitioning and all its complex details anymore, you learn while you use, connect and contribute value. That was the implicit design goal. „Module 1: Co-Mapping Our Transition & The Social Network We Truly Need“ is the foundation for several of the tools I believe we all need for empowering and facilitating the hands-on-part of transitioning. If you doubt the power and necessity of online tools, please ponder if transitioning and the related „awakening“ would be that far without web tools (and the sharing they enable) – though I agree that most of the work needs to be done on the ground, community-based and bottom-up. And the tools we use today are by far not yet what they could be, already. Dear Open Movement, please build it – dear rich ones, please finance it, ideally, it will help you to choose the strategically best projects to donate to.